The ServiceTrade Service Portal gives you a portal to the service history and upcoming services in ServiceTrade, directly from your service company's website. 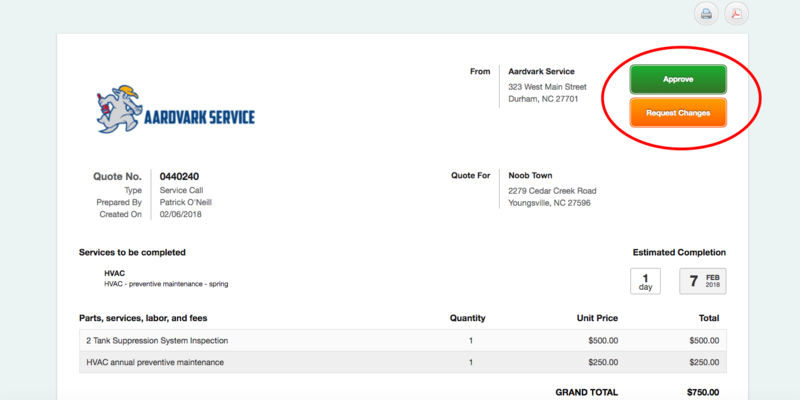 For the purposes of this article we will be using the Aardvark Service company's Service Portal. The first thing you will want to do is locate the Service Portal login area of the company's website and select "Request an Account." Next you will be prompted to enter a user name, email address, and password for your new Service Portal account. *Important* The email address you select should be one that you know is associated with either a Company or Location Contact in your service company's ServiceTrade account. This email address will be the link between ServiceTrade and the info that will be displayed in your portal account. *Note* You may want to confer with you service company so that you choose a viable email address. Once all the fields are filled out click "Request Access." The email address you have chosen will then be sent an email verifying that you have requested access to the portal. Once your service company has accepted your request you will be sent another email confirming that your portal access is now available. Now you are ready to log into your Service Portal account. Optionally, you will have the ability to Request Service for Locations, Assets, and Deficiencies in your Service Portal. Once you have selected one of the 3 options a blue "Request Service" icon will appear. Click that and fill out the Service Request for you business. This is a quick and easy way to alert your service company to your business' service needs. The Service Portal also gives you the ability to approve or request changes to open Quotes that have been submitted to your business.